There are basically two seasons in Tampa that are composed of the hot and wet months and the mild and dry months, with the former having the potential to cause significant water damage in homes and businesses. 911 Restoration of Tampa is available 24/7/36 to assist you in dealing with all kinds of water emergencies when a hurricane rolls into town. Floods and roof leaks are the most common water situations that can occur during a tropical storm. Water needs to be extracted right away to avert any further structural issues to your property and to prevent mold from growing. 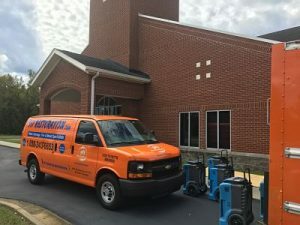 We understand that time is of the essence when it comes to dealing with water damage, which is why you can expect the flood repair team to arrive within 45 minutes receiving of your call. Once the technicians arrive on the scene, they will conduct a free visual inspection for property owners to determine what water damage restoration services need to be implemented. Whatever the emergency may be, customers can rely on the water extraction specialists to give you the peace of mind your need after a tornado or hurricane flood your property. So, give us a call today! 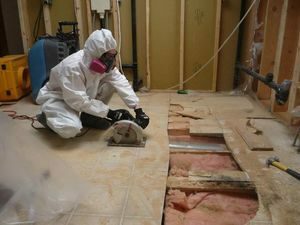 Once the storm subsides and you can asses the water damage in your property, the professionals can step in and begin the water extraction process. Speedy water damage repair is the key to limiting structural damages, wood rot, and mold growth. Whether you need us to fix a water leak in the ceiling or repair a water leak wall bubble, you can depend on the professionals to patch up the damage and completely dry the affected area. Aside from the quality repairs and restorations provided by the flood repair technicians, our staff can also help you in preventing water damage from future incidents by implementing a few precautions before the wet season begins. By keeping an eye on your roof on a regular basis, you can catch issues like missing or damaged shingles. By fixing these problems before the storms roll in you will prevent the need for any ceiling leak repair services. Purchase a sump pump and keep it in areas of the property that are prone to flooding. Make sure to inspect it frequently and make sure it is working correctly. 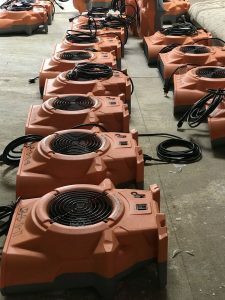 These pumps automatically turn on when they sense a home flood and significantly reduce water damage. Keep your dehumidifier running during the hot and wet season to prevent mold growth within your home. By limiting the humidity levels indoors, you will make it harder for mold spores to develop into a full-blown infestation. 911 Restoration of Tampa wants to assist you in keeping your property free from water damage in any way we can. So, call the experts as soon as you discover any leakage or flooding in your home or business. When you call 911 Restoration of Tampa to take care of a leak, you can count on the water cleanup technicians to patch up any water damaged section of your property and restored it to its perfect condition. On top of our flood repair abilities, property owners can expect to receive excellent customer service from our staff consistently. Making you feel safe and secure during a water disaster is the top priority of the technicians, which is why they make themselves so available to their customers. By keeping in constant contact with property owners throughout the restoration process, we hope to dispel any concerns you may have along the way. When a water disaster impacts your home or business, you can count on 911 Restoration of Tampa to have your back. Through our advanced water damage repair services, we make house water leaks and floods a thing of the past. Give us a call today!